Online Registration opens one week before the start of tryouts. Check the WYHA Home Page for Tryout dates and the Travel & Girls Coach Contact page for Head Coach Contact Info & Season Plans (look under the ORGANIZATION tab). If you pre-register online, the WYHA Tryout form are completed online and the Tryout Form does not have to be filled out and brought to tryouts. 2.) Fill out the WYHA Tryout Registration Form and bring cash or 2 checks (one for $50 and one for $150) to Tryouts. A.) A copy of the ORIGINAL release (this may also be forwarded to the Registrar at registrar@wyha.com before tryouts begin if your organization emails releases). B.) A copy of your child's 2018-19 USA Hockey Registration. 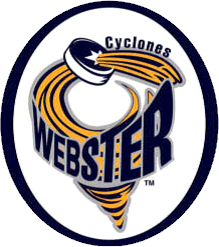 Note 1: Online Pre-Registration will be closed at approximately 2 PM each day of tryouts in order for Webster Youth Hockey members to process the online registration data before tryouts that evening. To Register ONLINE, click on the PROGRAMS tab, select "Travel & Girls Tryouts", read the info on the page, then click on the REGISTER button on the right hand side of the page and follow the prompts to complete the Tryout Registration. NOTE 2: A WYHA account must be established to register online! c.) Follow the instructions to verify your email. d.) Type in your name and phone after clicking on the link on the verification email. If you do not have the necessary fees or forms or a Release (or registered online) your child will unable to tryout! 1. Any player that owes money to WYHA or has not turned in borrowed uniforms or equipment is ineligible to tryout until paid in full. 2. The tryout schedule is subject to frequent changes. Please check the website at www.wyha.com frequently to ensure that you do not miss a critical tryout date or time. Coaching announcements will also be made via the website. 4. The Team Deposit check must be separate from the Tryout Fee. Do not combine into one check. We require separate checks. The Team Deposit is non-refundable once you have been accepted on a team. 5. Plan ahead. If you need a release from your current organization, we highly recommend requesting it early to give your current association time to process your request (NYSAHA allows organizations 10 days to process all Release requests). If you did not register online, download and complete the WYHA Tryout Registration form before arriving at tryouts so you don’t have to complete the forms and hold up the registration lines. 6. The NYSAHA - WYHA Commitment Form is not collected before tryouts. If your player is selected for a team, the player section must be completed and turned in to the Head Coach or Manager immediately. Your player can not participate in team activities or be rostered on the team until this form is turned in. Understanding the process and planning ahead will make tryouts a fun, easy and exciting process. 1. Check the schedule to determine when and where you need to be for tryouts. 2. Be at tryouts at least 1 hour early. Sometimes there are long lines of people due to the number of teams trying out in a given night. Ensure that your child is well nourished and well rested for tryouts. 3. Have your paperwork filled out and ready when you get up to the table. If your paperwork is ready to go, you should only have to spend a couple of minutes at the table. 4. At the registration table, your paperwork will be inspected to ensure it is complete and then your child will be given a numbered jersey. His/her name and number will be logged onto a form used by the coaches conducting the tryouts. 5. Your child can then go to the assigned dressing rooms and get ready for the tryouts. 6. When you arrive for the 2nd or 3rd night of tryouts, your child will need to check in with the registration table prior to going to the dressing room. This will allow us to ensure that his name and number is logged in on the form for that night’s tryout session. If they don’t check in, they won’t be on the form. 7. Please check the Our Programs / Tryouts / Tryout Results section on the WYHA website frequently. Unfortunately, not every child can be accepted onto a team and there is no easy way to reduce the tryout field to get to the final selections. WYHA will update the website each night to reflect any “cuts” that have been made. While this method may seem impersonal, we feel it is fairer and less painful to those players who did not make the team than to notify them at the rink. 8. Please remember that if your child is not selected for a particular team, it is not a reflection on your child, or your family. It is simply that the coach felt that there was another player who better fit the team’s needs. If your child is not selected on a Travel team we encourage you to tryout for a House Red team to continue your child’s skill development. We also encourage you to enroll in our organization’s Empire House program where your child will be able to develop their skills, play competitive hockey and possibly have a chance to be an alternate on a travel team. 9. If your child is not selected for a travel or girls team, your paperwork will carry over to the 2nd team, Mixed team or House Red tryouts and no additional fees will be collected. If your child did not make a travel or girls team and wishes to evaluate for a House team your paperwork will carry over to the House Evaluations and no additional fees will be collected.